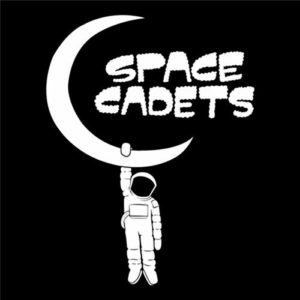 Los Angeles’ Space Cadets (Zachary Wexelman singing lead and playing acoustic guitar, Dan Creed on bass and managing backing vocals, and drummer John Cocco) present their eponymous four-song, vibey EP. Beginning with a drum-tastic, acoustic guitar-led, kinetic, vocal romp “F.F.D.F.,” we see pretty quickly that we are in acoustic funk territory here with this song that’s fun and infectious. The snapping “For a Little While” follows, again with Wexelman’s whole white-reggae vocal approach. It’s not as kinetic and therefore allowing him more expression. I’m not sure things go anywhere on this song beyond laying a nice snapping groove around the same guitar phrase Wexelman sets, but the trio gets a solid groove up and running and they do play well together. The jazzy “Fam” is, without a doubt, the best tune here, showcasing Wexelman’s dexterity on guitar and the lock-step the bass and drums make behind him. It’s his best and sexiest vocals here as well and probably the most realized tune. “Kissing” ends the EP with its cool, roiling bass from Creed under one simple riff rhythm. Like “For a Little While” and most of the others here, Space Cadets gets a good groove on, slips in, out, and around one another expertly. Wexelman manages his interesting vocals fine, but these songs are built around riffs and a beat, not always much more, which is perfectly pleasing to listen to, if this is your sort of bag.